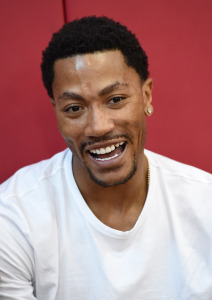 In more trading news, the New York Knicks traded away Robin Lopez, Jerian Grant and Jose Calderon with the Chicago Bulls to get Derrick Rose. Many are confused by the trade as Rose blew out his knee in 2012 and hasn’t been the same superstar player he once was. Watch the NBA draft Thursday night at 7:00 pm EST on ESPN to see who goes #1. Will it be LSU’s Ben Simmons to the 76ers? And with the #2 pick, will the Los Angeles Lakers pick Brandon Ingram? Former Cleveland Browns’ QB Johnny Manziel can’t seem to stay away from problems. According to Dallas police, Manziel reported he was involved in a hit-and-run accident this week. No one yet seems to know the full story. The Zika virus seems to be having more of an affect. Golfer Rory Mcllroy has now decided not to travel to Brazil for the Olympics because of fears of the virus. It hasn’t been confirmed yet, but LeBron James may not go as well. Already Steph Curry, James Harden and Russell Westbrook have decided to forego Olympic Gold.